The Edward L Rose Conservancy is partnering with the Rockwell Collins corporation in Binghamton New York on a Raptor Nest Project. We often see bald eagles roosting and fishing near the High Point Preserve. 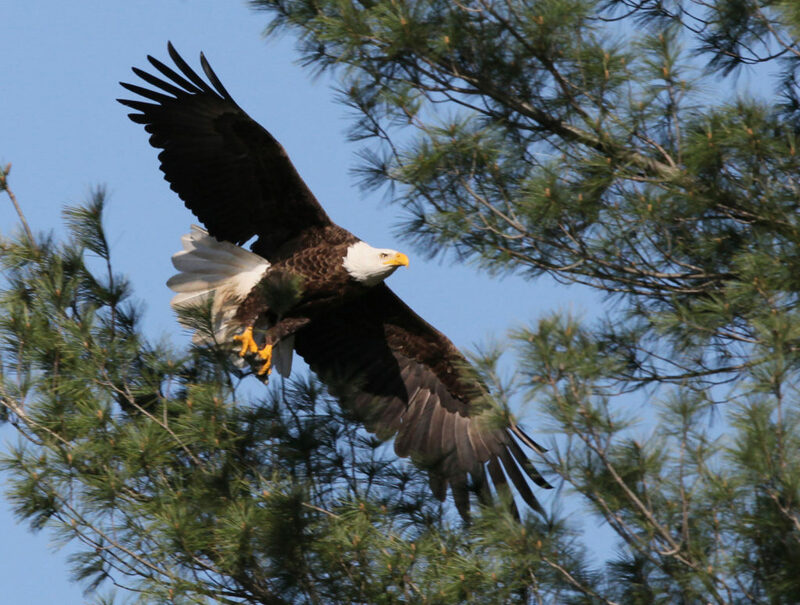 The goal of this project is to establish a nest site to encourage eagles to breed near the High Point preserve. A suitable tree will be selected with a recommendation from national eagle experts. The design and construction of the nest base will be done in October 2018 by volunteers from the Rockwell Collins company and the Edward L Rose Conservancy and with support from the tree climbing experts from Cornell University. When successful take-over of the nest site occurs in the future, with breeding activity, the long term plan will be to install a web-camera to enable the local community to unobtrusively observe the breeding behavior and watch the growth and fledging of a new generation of eagles. Look for progress updates later this month.